2019 is quickly approaching. Time to start a conversation regarding picks and pools. I missed the 2018 pool due to vacation during the last half of the month, and suspect others who might have been interested in participating may have as well. Basically, a list of 10 names of individuals who's obituary would be noted by the Associated Press needs to be submitted via PM prior to 11:59:59 pm Las Vegas time on 12/31/18. - Anyone on the list selected correctly gets one point. - Rank the list. Your #1 ranked prediction gets 1 point; #2, 2-points etc. - Bonus points: The current pool rules include an age factor (100-age at passing, penalty points possible if deceased person was over 100), to discourage picking super old folks. How's that working out this year? It is interesting that after a few years of no one getting anyone right, we have had several correct predictions this year, with a few weeks to go. - Winner take all cash pool for most points, run on the honor system. Please chime in. 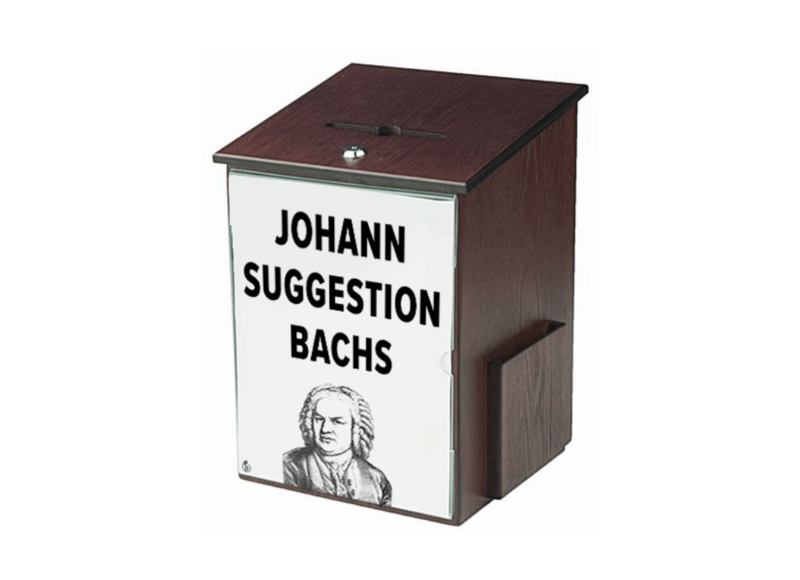 The suggestion box is open. I'm happy with the 2018 rules. Your 10 predictions are due via Private Message to me by 11:59 pm Las Vegas time on December 31. Folks on the list need to have their obit mentioned by the AP. Subtract 100 from the persons age at passing for your score. Smallest total, (i.e, biggest negative total) when the fiireworks go off on January 1, 2019 wins. I'll try to post all the predictions by January 2. If someone on your submitted list passes away before the new year, you can pm me a replacement as long as it is turned in prior to the submission deadline. Please state in the thread prior to the submission deadline if you will participate in the optional $20, winner take all prediction pool. Participants will settle up in 2020 on the honor system. Since I will be pulling everyone's predictions together, I will not be participating in the prize pool. Thanks, Aye, for organizing this. If you want to play, I'd suggest you submit your picks to a trusted WoV member who probably won't play the 2019 Dead Pool, like BBB. You can also submit them to me and I will promise not to read them until 1/1/2019. Thanks for the offer Wizard, but I'm happy just to run it for fun. I just PM'd you my picks. I also PMd Aye my picks. Haven't decided yet whether I want to do the $20 pool. Reserving the right to decide before the end of the year. I pm'd my picks to ayecarumba and requested to be in the pool. I am so confident of my picks that I will gladly entertain a side pool with anyone (my picks against yours). If desired, please let me know prior to 30 Dec 2018. My picks have been pm'd to Aye.